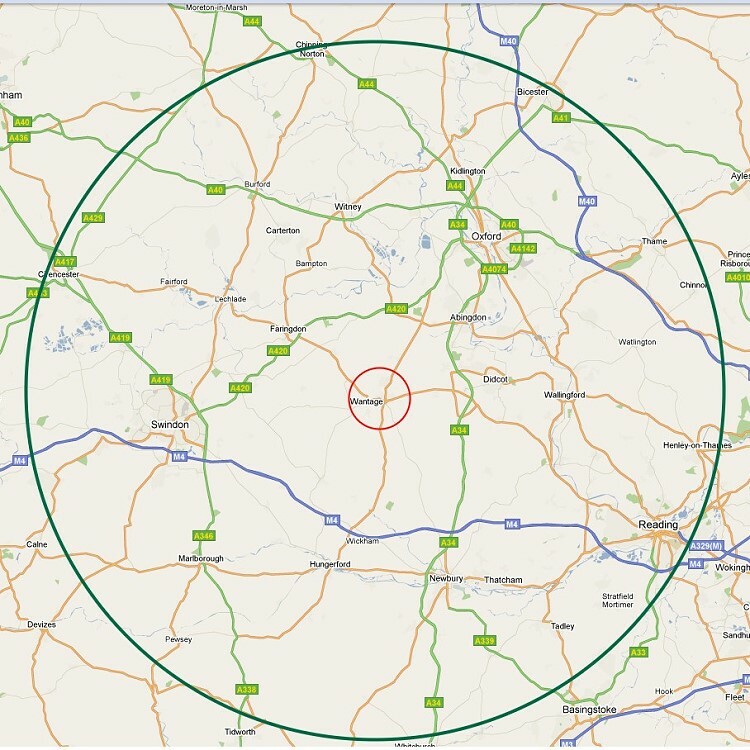 Area Covered- A radius of approximately 25 miles from my base in Wantage Oxfordshire. I give free estimates within that area so please contact me to discuss your needs. Once a site visit has taken place any estimates/quotations are emailed to clients as the first option and then if the clients is happy to proceed a formal typed estimate/quotation is rendered for final confirmation to proceed with the work. Small projects where possible a verbal costing/estimate can be given on site at the time I visit to view the work. I am happy to quote for work outside of my catchment area but I do make a charge to cover travel time and expenses, so please contact us to discuss your requirements and any site visit charges that may be incurred. 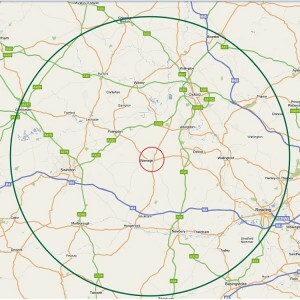 Oxfordshire area covered 25 mile radius: Click the image to enlarge.